This 100% polyester vest includes 2 cross stripes designed to reflect oncoming headlights. 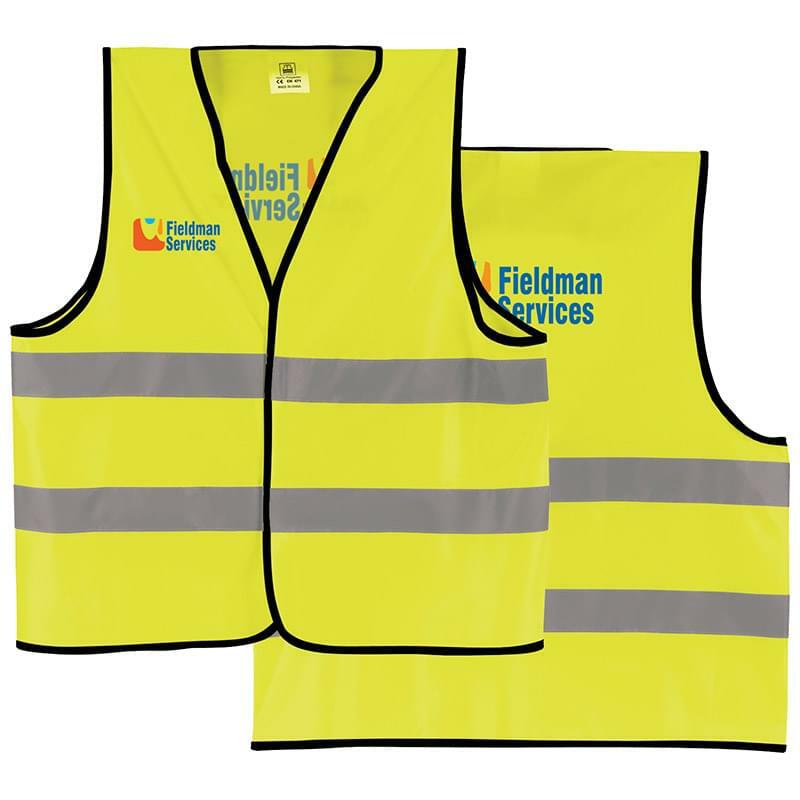 The safety yellow color is very bright and visible, even during the day, and a hook-and-loop closure keeps the vest in place. Decoration Information - Your artwork is permanently applied by a precision printing press. Prices include 1 color 1 location. Decoration Information - Your artwork is screened onto material and then applied to the product’s surface with heat and pressure. Prices include 1 color 1 location.